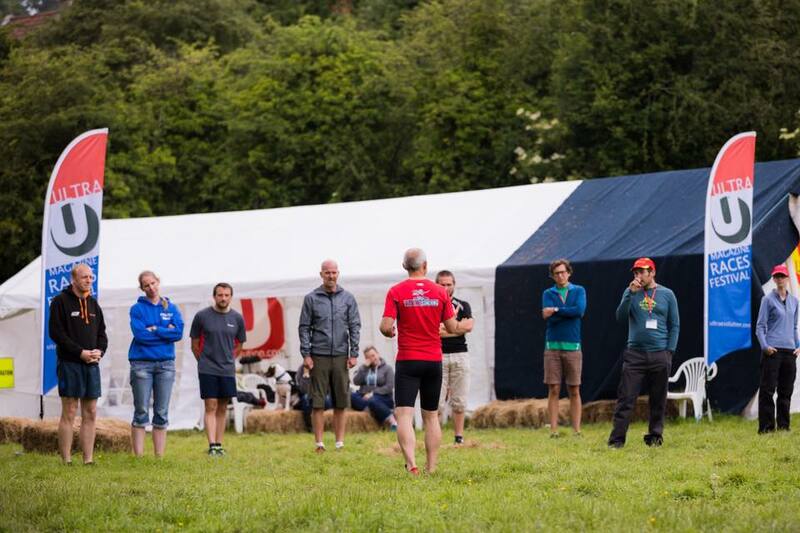 A weekend with ultra trail runners! As many of you know, one of my major passions outside of work is long distance trail running, and I’m just back from spending a weekend in a muddy field somewhere in the deepest depths of Somerset at the Ultra Running Festival 2017. A wonderfully inspiring couple of days crammed full of key speakers from across the Ultra Running community, GB athletes, running legends and world record holders, all sharing their knowledge and experience with us mere mortals! I took great interest in many of the anecdotes, tips and advice people shared over the duration of the weekend but it was Anna-Marie Watson (international ultra runner & business coach) who struck a chord with me when she introduced us to the concept of “Flow”. Not an entirely new concept, but a new take on what others have previously referred to as “a runner’s high” or being “in the zone”. Anna-Marie described Flow as a state of peak performance where an athlete can be up to 5 times more effective. I left the weekend rather muddy and sleep deprived but feeling truly inspired by the many stories told by some of the most incredible endurance athletes the UK has to offer. As I headed home I started to wonder if being in a state of Flow really can increase performance by up to 5 times, why wouldn’t we all want to replicate this state in our working lives? Positive psychologist, Dr. Mihaly Csikszentmihalyi believes that achieving a Flow state on a regular basis is a key component to happiness. So, Flow not only increases performance, it also leads to increased happiness. Just think how much more we’d be able to achieve at work, and ultimately how much happier we’d be in our chosen career paths, if we could all bring some Flow into our working day. 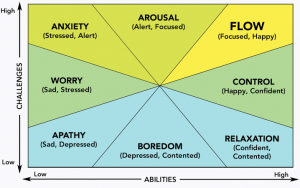 Csikszentmihalyi states that, in order to achieve a Flow state a balance must be struck between the challenge of the task and the skill of the performer. 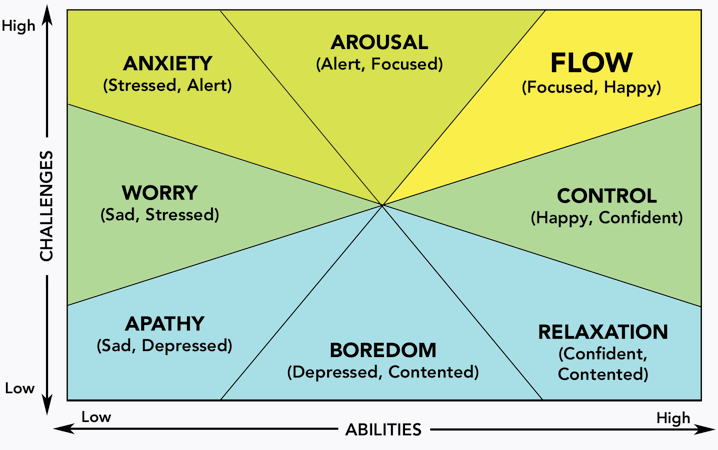 If the challenge is too high for the level of skill we possess we will experience worry, arousal and anxiety. On the flip side, if there is little challenge we have control but experience apathy and boredom. When you hit what is known as “the sweet spot”, where the level of challenge is high and the skills that you have to meet that challenge are also high, it is at this point that you enter the Flow state and find yourself both focused and happy. What does it feel like to be in a state of flow? Being in a state of flow finds you completely involved in what you are doing, you are completely focused and concentrated, removed from everyday reality, experiencing inner clarity, with an awareness of your own skills and the knowledge that you have what is needed to complete the job in hand. Your worries fade away, you are so absorbed in the moment that you lose track of time and you feel highly motivated to achieve whatever activity it is that has brought you to this state. Wouldn’t it be wonderful if we could all find this state of Flow within our working lives, if we could find a role that enables us to be part of something we enjoy, where we are challenged to push our boundaries, but where we are given the opportunity to develop our skills in order to be able to meet the challenge. Environments where we can set clear goals, eliminate unnecessary distractions, allocate sufficient time, and focus completely on the task at hand. These are the places where Flow can thrive and where peak performance can be achieved, these are the places of happiness.